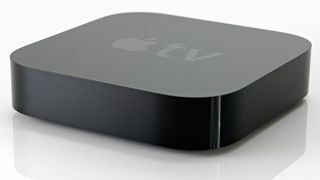 When it comes to the cream of the TV stream the Apple TV is the dominant device for watching the good stuff on your television. Apple's diminutive streaming box has doubled its viewing share for subscription-based streaming services in the last quarter. According to the latest Adobe Digital Index report the viewing share per device on Apple TV rose from 5% in the last quarter of 2014 up to 10% in Q1 2015. That may not actually sound like a huge percentage, but in terms of television-based viewing it's the dominant device. Roku has only moved up from 7% to 8% and the games consoles account for only 2% of premium TV viewing. Interestingly, despite a rise in the number of connected TVs actually being connected to the interwebs, the viewing share on Smart TVs remains a lowly 2%. All told though it's the iPad and iPhone which really hold sway over the premium TV content, with 30% of TV Everywhere content getting eyeball attention via the iPad. That is though all good news for Apple, despite the fact the oft-rumoured new Apple TV device is apparently not going to be making an appearance at this year's WWDC event. We're still waiting for the new Siri-enabled streamer, but according to the New York Times it's still not "ready for prime time." What's happening to broadcast TV?